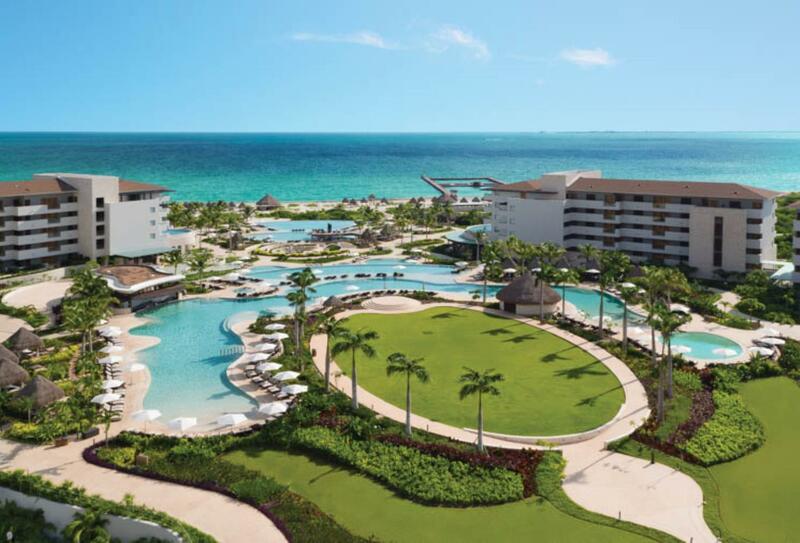 Set on a white-sand beach, in a private, upscale community north of Cancun, Dreams Playa Mujeres Golf & Spa Resort is perfect for couples, and families with children. 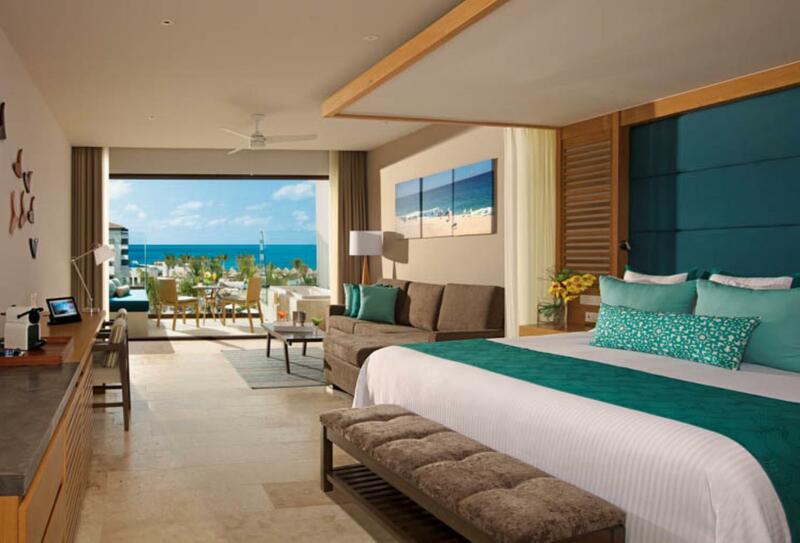 The resort offers elegant suites – some with private pools and Preferred Club privileges. In its picturesque location, you’ll find Dreams Spa by Pevonia®, swimming pools, a waterpark and kids’ clubs, live evening entertainment and endless activities by day. 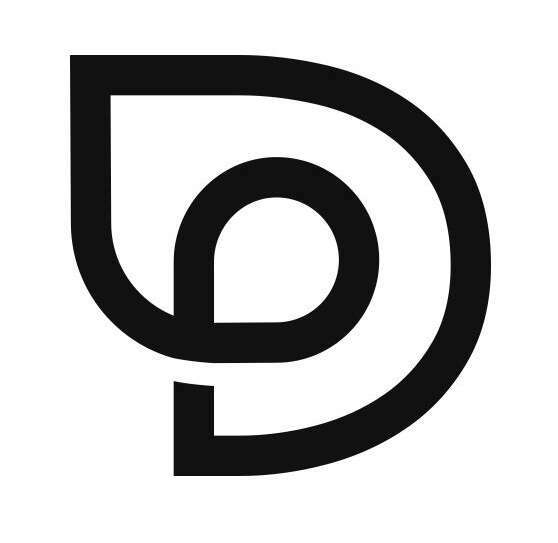 Dreams’ Unlimited-Luxury® all-inclusive programme covers practically everything, including top-shelf drinks, gourmet a la carte dining, themed parties plus most sports. Within a 3-mile drive you’ll find major cultural attractions such as Xcaret, Tulum and Chichen Itza. 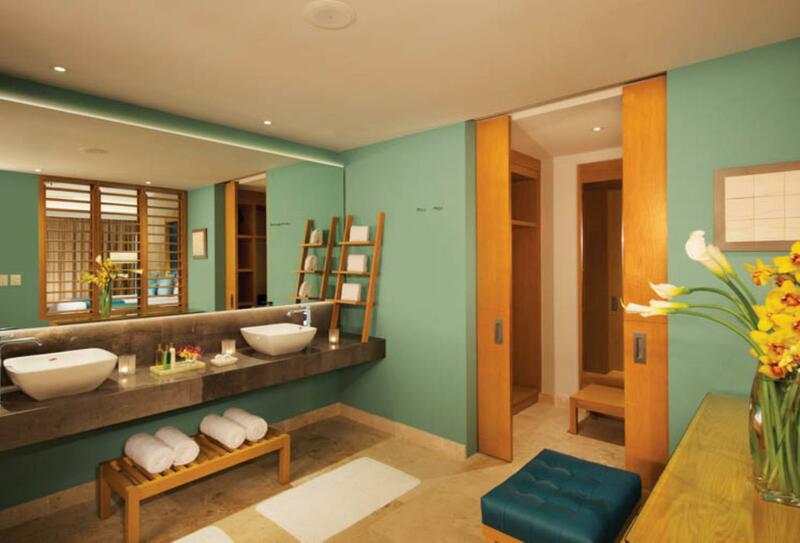 The Junior Suite offers a separate living area, furnished private terrace and a whirlpool tub. 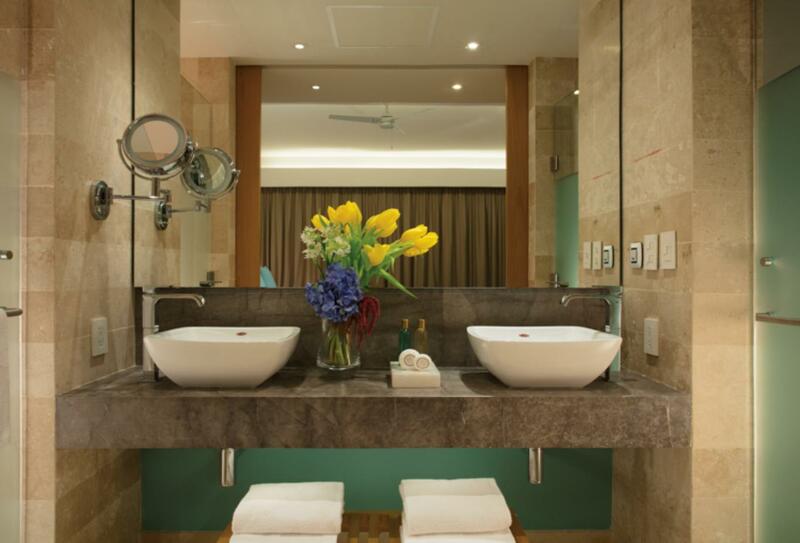 Overlooking the resort’s stunning pool areas, this suite includes a living area and terrace with whirlpool tub. Ideal for a small family, this suite has one bedroom with choice of beds, a separate living area with sofa bed and furnished terrace with whirlpool tub. 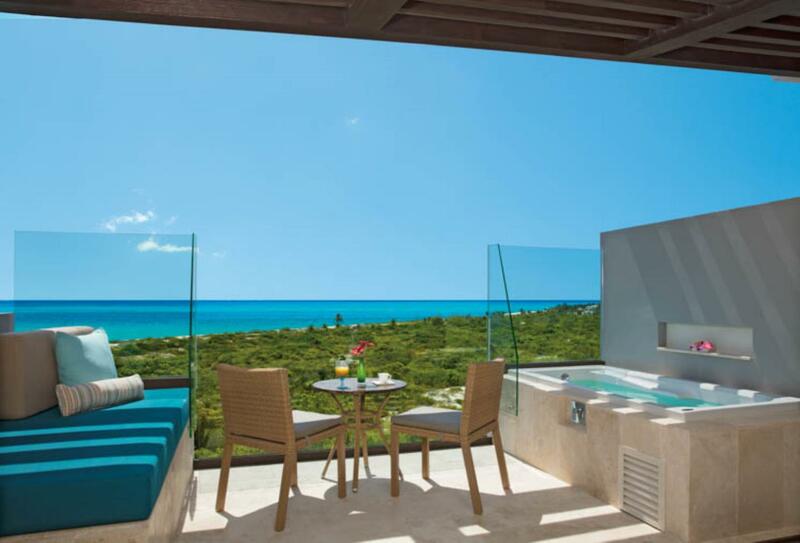 Overlooking the ocean, this suite includes a living area and terrace with whirlpool tub. This suite has a sitting area with sofa bed and outdoor loungers on the terrace overlooking the ocean. It includes Preferred Club privileges and access to the Preferred Club Lounge and Lazy River. 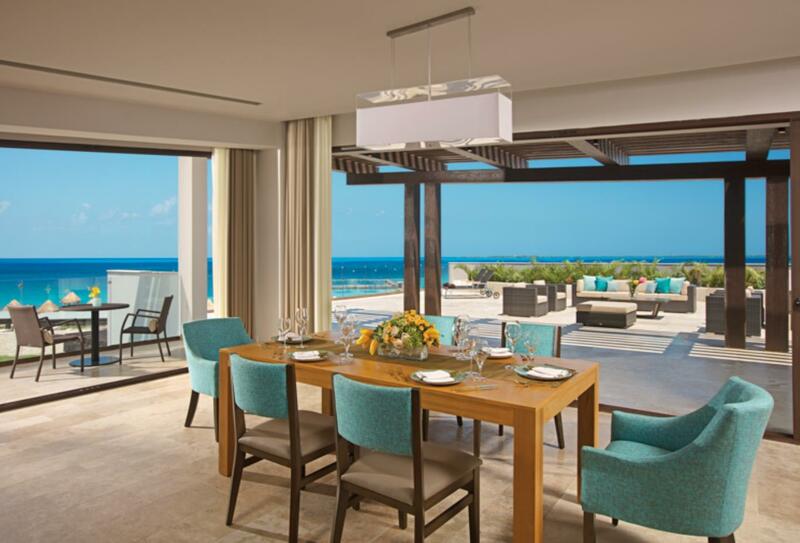 Your private furnished terrace includes access to a semi-private pool overlooking the Caribbean Sea. There is a living area with sofa bed. 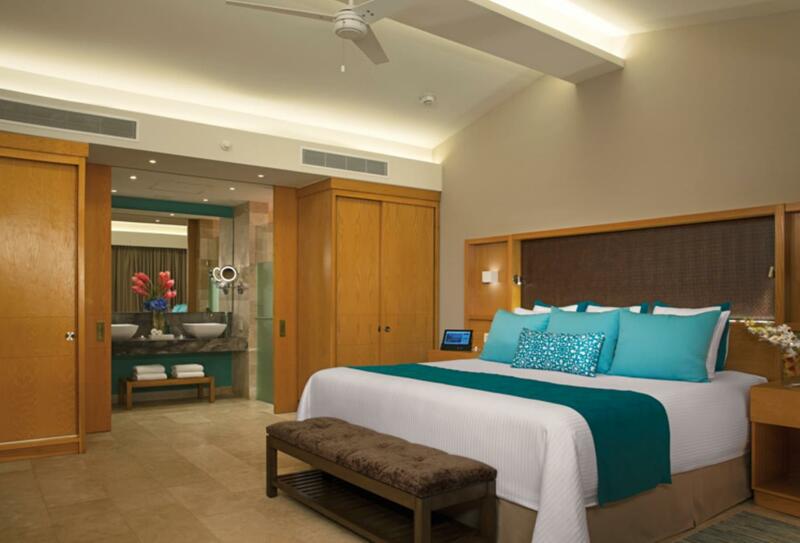 This suite comes with Preferred Club privileges and access to the Preferred Club Lounge and Lazy River. Only for use by guests ages 13 plus. Comprising of two connecting Junior Suites, this spacious accommodation makes an ideal space for a family with independent living and sleeping plus two bathrooms. 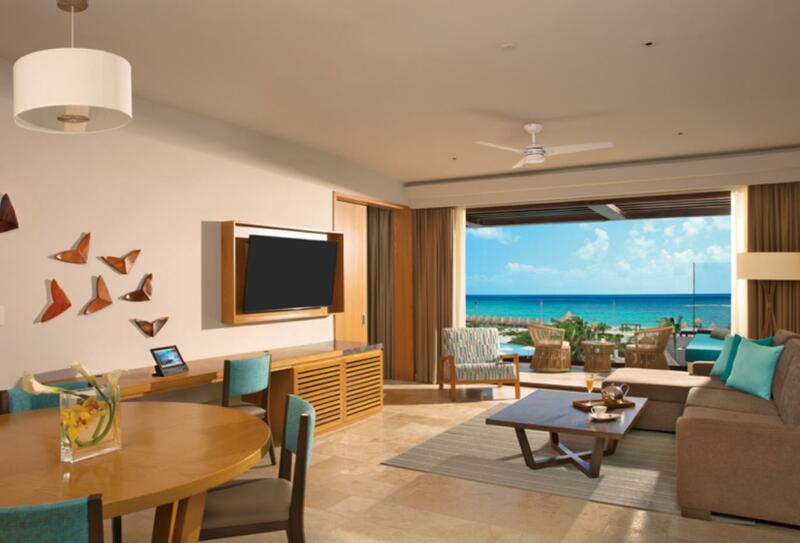 With the privacy of your own private pool and direct access to the beach, this suite includes Preferred Club privileges and access to the Preferred Club Lounge and Lazy River. This suite has a separate living area plus dining for four and ample seating. Outside is a furnished terrace and whirlpool. This suite includes Preferred Club privileges and access to the Preferred Club Lounge and Lazy River. 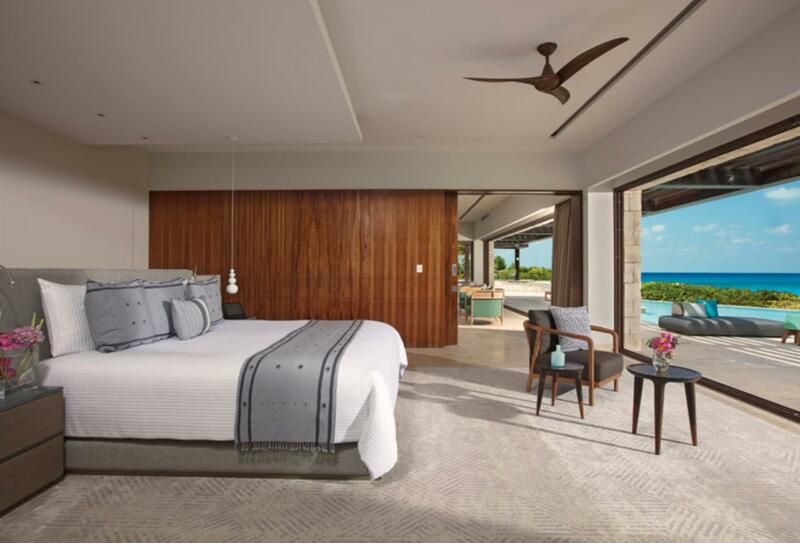 This suite is a combination of a Master Suite and Junior Suite and includes two bathrooms, separate living areas and two furnished terraces with a whirlpool. It comes with Preferred Club privileges and access to the Preferred Club Lounge and Lazy River. A spacious suite with separate bedroom and living/dining room. 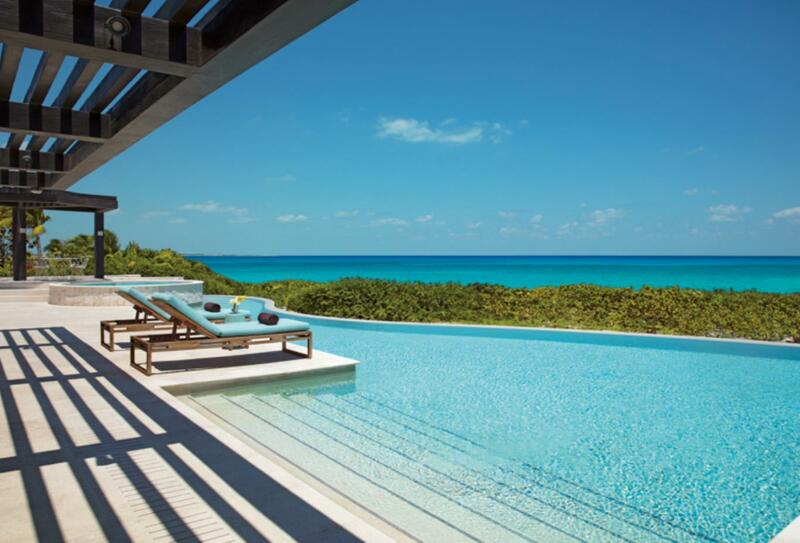 You will have direct access into a semi-private swimming pool from your terrace. This suite includes Preferred Club privileges and access to the Preferred Club Lounge and Lazy River. Only for use by guests ages 13 plus. This spacious suite comprises a bedroom, sitting room with dining table and outdoor terrace with pool. 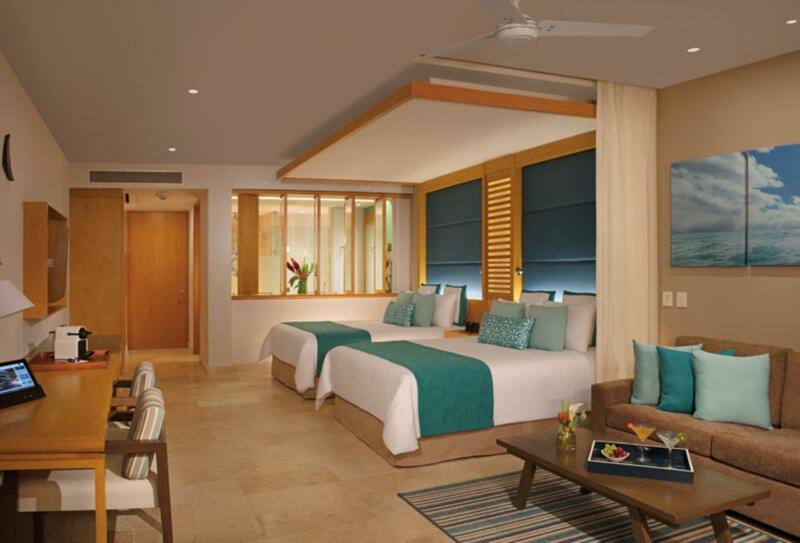 Guests will have Preferred Club privileges and access to the Preferred Club Lounge and Lazy River. 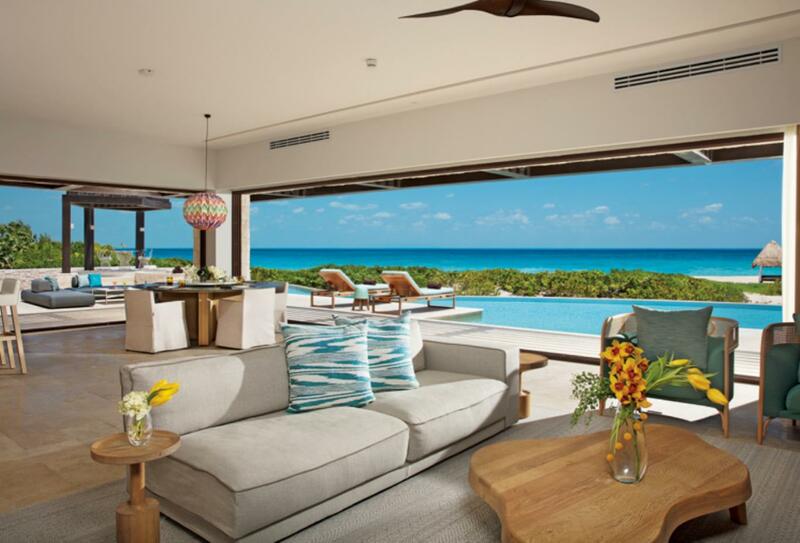 This villa has double-height ceilings, a living area with dining table for up to 6 guests, as well as a sofa bed and private terrace with whirlpool tub. 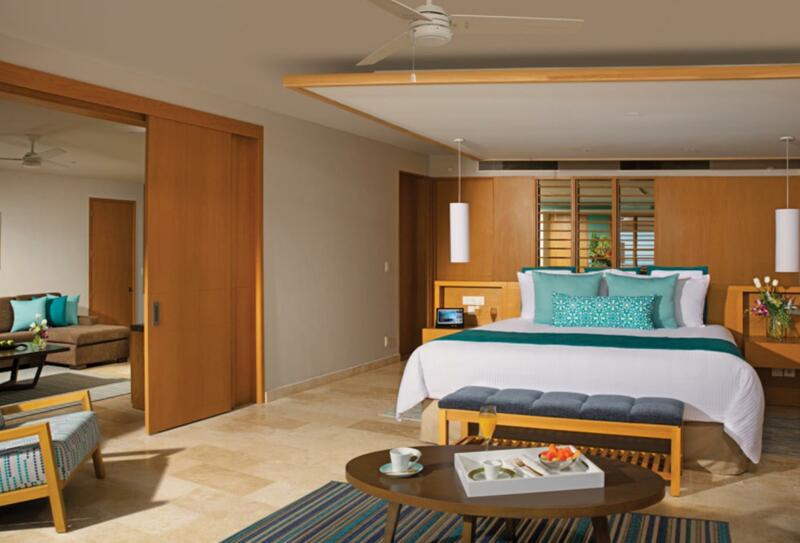 This suite includes Preferred Club privileges and access to the Preferred Club Lounge and Lazy River. This expansive two bedroom home includes two bathrooms, iving room, kitchenette and dining table for 8. A second dining table and sitting area can be found on the oversized outdoor terrace, with direct access to a private pool facing the sea. 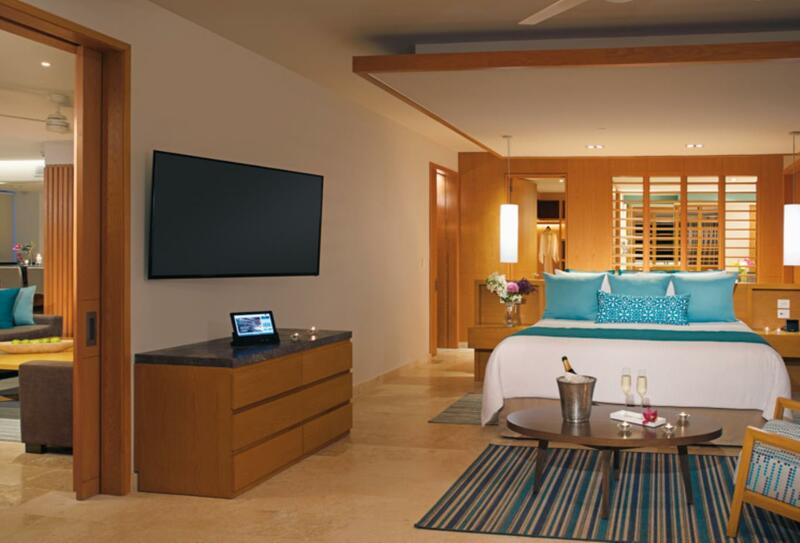 This suite includes Preferred Club privileges and access to the Preferred Club Lounge and Lazy River. This spectacular suite can host cocktail parties, ceremonies and private dinners for up to 60 guests in its vast internal and external spaces. 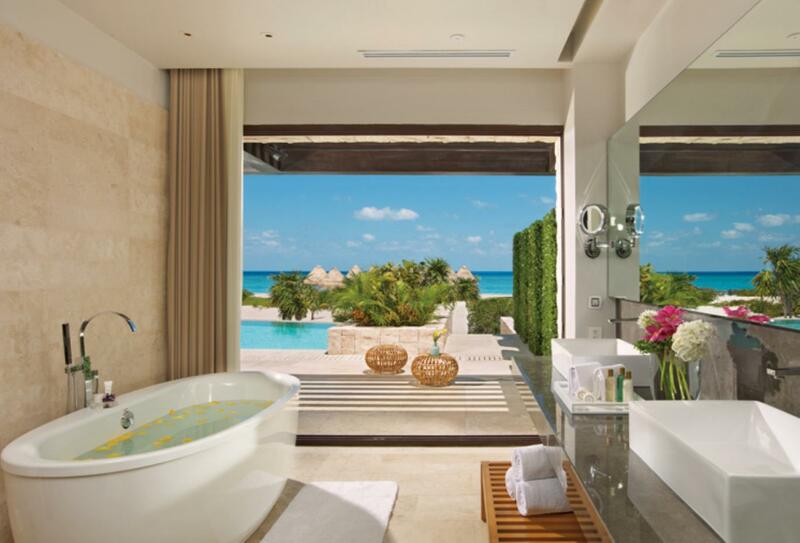 There is a master bedroom facing the sea, a huge living room, plus a powder room. Direct employee access and a second living room with sofa bed, dining table, kitchenette and half bathroom. 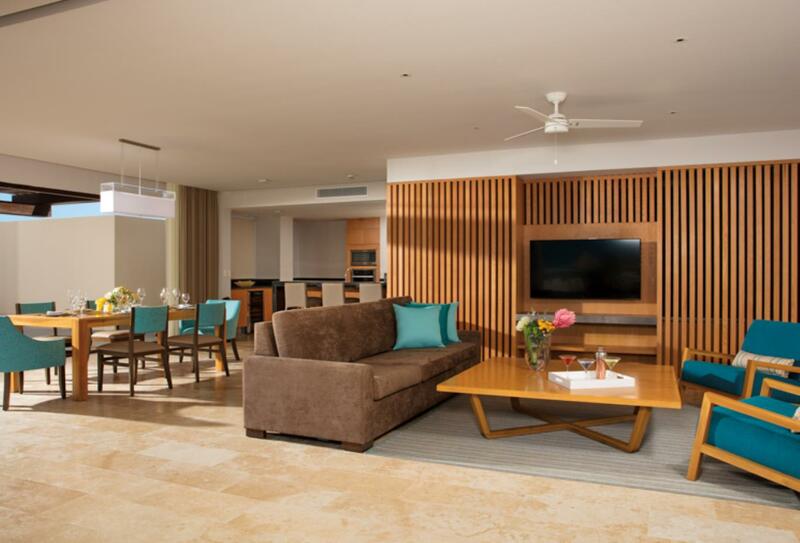 This suite includes Preferred Club privileges and access to the Preferred Club Lounge and Lazy River. 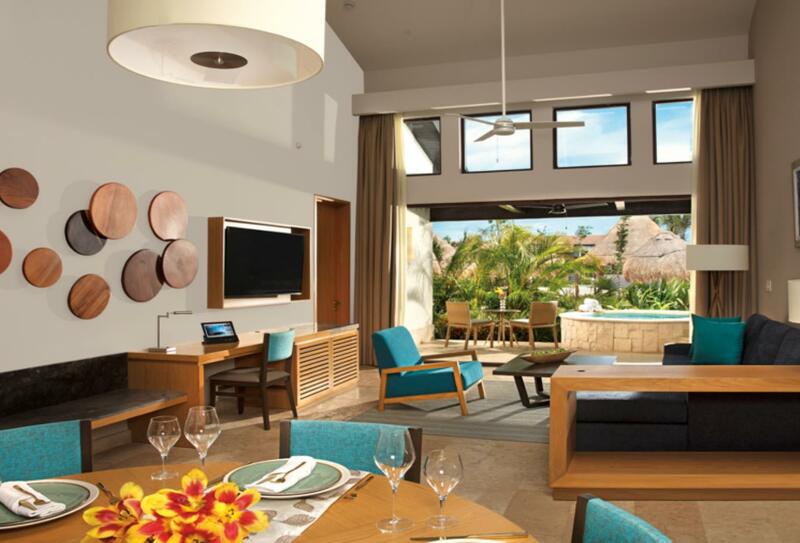 Dreams Playa Mujeres operates their signature Unlimited-Luxury® experience which consists of the following inclusions. Dreams Playa Mujeres Golf & Spa Resort makes an idyllic destination for your romantic day, and offers the following packages to help you celebrate. We recommend this resort as a destination wedding for families and multi-generational groups. Cost: Complimentary when booking at least 7 nights in the Preferred Club Junior Suite Ocean View or higher, or if 5 rooms in any category are booked for at least 3 nights. Weddings must be booked a minimum of 30 days in advance of the wedding date. Additional fees apply for the service of a judge or minister. 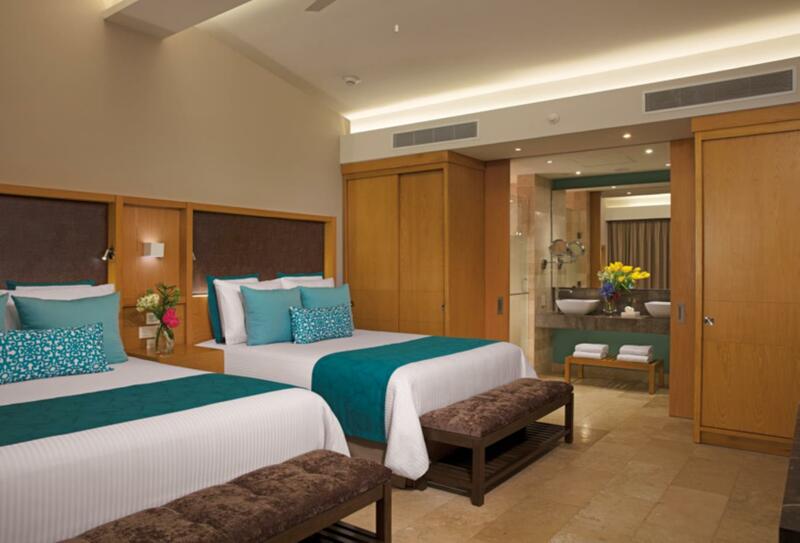 Dreams Playa Mujeres Golf & Spa Resort is a beautiful location for a honeymoon, and the resort offers newlyweds the following package to help them celebrate their union. Reservations required with concierge for breakfast and activities. Couple must present a copy of their wedding invitation or marriage certificate at check-in. *May incur an additional charge. 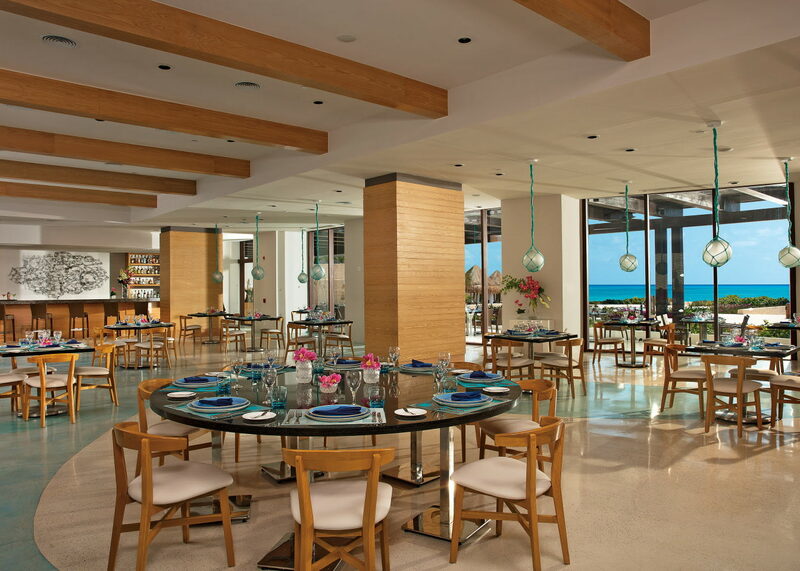 Dreams Playa Mujeres operates their signature Unlimited-Luxury® dining experience, details of which can be found under the All-inclusive section. With indoor and outdoor seating available through the day, the World Café is a welcoming buffet restaurant specialising in local and international cuisine. Several themed stations offer guests the opportunity to sample some unique dishes. Open for breakfast 07:00-11:30, lunch 12:30-16:00, and dinner 18:00-22:30. An upscale restaurant offers a range of freshly-caught seafood dishes, including prawn cocktails and the incredible catch of the day. Conveniently located near the main pool, Preferred Club guests can enjoy breakfast here from 07:00-11:30, while it is open for all guests for lunch 12:30-16:00, and dinner 18:00-22:30. A relaxed poolside café, Tides serves light snacks, freshly-baked pizzas, juicy hamburgers and tasty hot dogs for lunch, 12:30-16:00. Savour delicious French cuisine in L’Etoile, a formal, adult-only restaurant. With signature Chef creations and a beautiful setting, adults can enjoy dinner here from 17:30-23:00. Fiery aromas and local flavours combine in this elegant Mexican restaurant, serving an a la carte dinner menu in a traditional setting. Open for dinner 17:30-23:00. A fantastic, interactive restaurant setting with Hibachi tables for show cooking, guests can enjoy modern and stylish Oriental cuisine influenced by Peruvian ingredients. A la carte dinner menu served 17:30-23:00. With a Moroccan-inspired ambience, Mezes is an idyllic restaurant serving gourmet Mediterranean fare. Open for dinner 17:30-23:00. The sleek Gaucho Grill is a contemporary Rodizio with unlimited Brazilian appetisers, fresh salads, and hearty meats carved table-side. Open for dinner 16:00-midnight. Refreshing and contemporary, That’s a Wrap is a relaxed, cool indoor restaurant and outdoor terrace offering healthy fare such as fresh salads and wraps, as well as a variety of paninis, sandwiches and burritos. Open for lunch 12:30-18:00 and late night bites 23:00-06:00. Sip premium coffees, enjoy deli snacks and cool off with a large variety of ice cream options in a relaxed atmosphere. Open throughout the day, 06:00-22:00. Whether you’re celebrating a honeymoon, anniversary or simply wish to surprise a loved one, the resort can organise a special private dinner with a delicious menu, in any of the beautiful spots around the resort grounds. Served by advance reservation through the concierge. 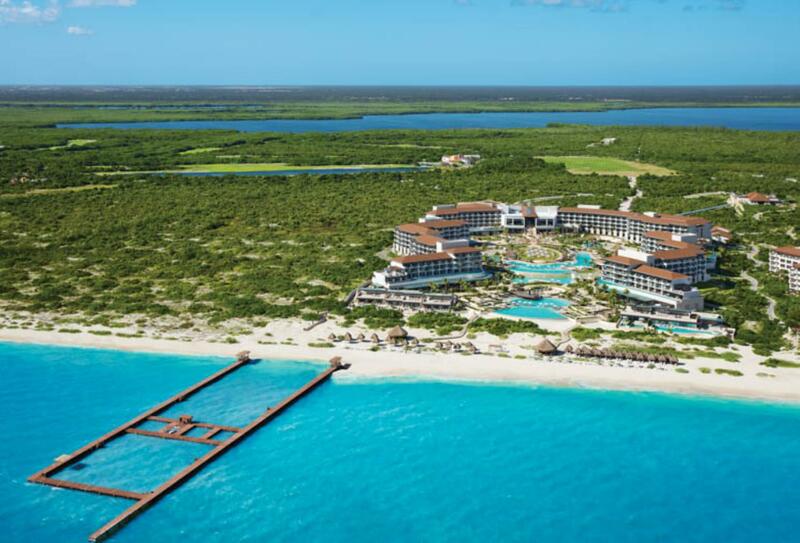 Situated in an exclusive gated development north of Cancun, Dreams Playa Mujeres Golf & Spa Resort occupies a scenic beachfront spot, overlooking Isla Mujeres and the Cancun hotel zone. 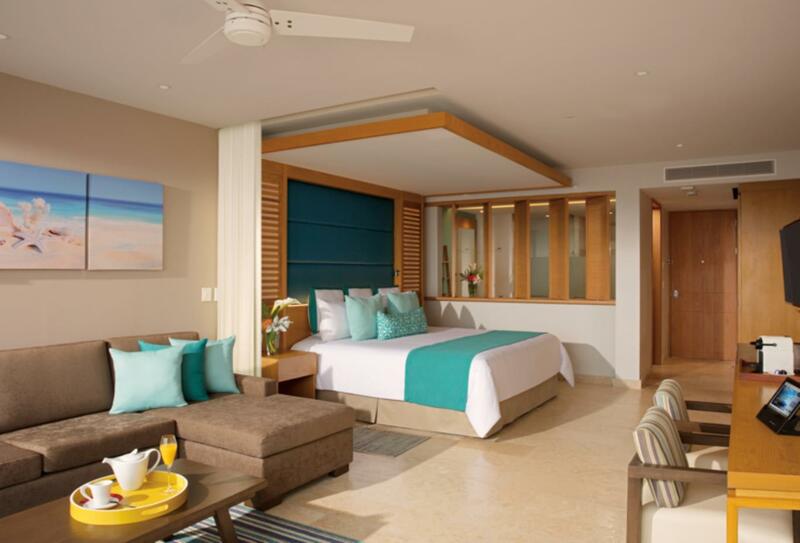 Families with children, both young kids and fussy teenagers, will adore the array of activities and services on offer at Dreams Playa Mujeres in a picturesque beachfront setting.